A new platform will help public procurers to buy more environmentally-friendly furniture, providing comprehensive guidance throughout the tender process. 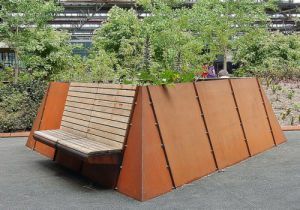 The Green Urban Furniture platform, developed as part of the EU-funded FUTURE project, will make it easier for procurers to develop environmental criteria for suppliers and compare how sustainable different products are. 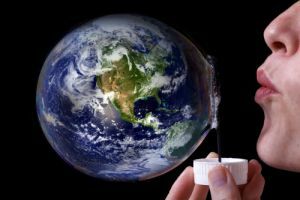 The project states that local governments can significantly improve their impact on global warming through using the tool to purchase more sustainable furniture. Placing a stronger emphasis on sustainable furniture is also likely to expand the European green furniture market, leading to greater range and competitiveness. The tool is currently being tested by local authorities in Valencia (Spain) and Koprivnica (Croatia), who will purchase around 200 furniture products in the initial phase. It is expected that 17,500 pieces of sustainable furniture will be purchased using the tool over the next five years. For more information, visit Public Spend Matters Europe. Copenhagen’s (Denmark) outdoor street lamps are getting an upgrade, with 20,000 energy-efficient LED lamps to be installed in 2016. Energy savings of around 57 percent are expected, which is enough to power 4,500 homes in the Danish capital. In addition to saving energy, the new lights will be fitted with smart capabilities. Maintenance officials will be able to remotely dim or brighten the lamps, and will be automatically alerted if repairs are required. The technology installed in the lamps will also enable it to detect approaching cyclists and shine extra light, improving journey safety. 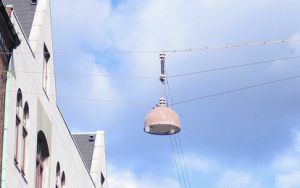 Around half of Copenhagen’s outdoor street lights will be replaced, with the local government deciding to sell the old models at auction, giving potential buyers the chance to own a piece of Copenhagen history. The iconic, bowl-shaped lamps have proven extremely popular, with already 3,000 sold for an average of $100 apiece. The new smart lamps will adhere closely to the historic design, ensuring continuity in Copenhagen’s urban aesthetic. The decision to move to more energy efficient lamps is part of Copenhagen’s drive to be carbon neutral by 2025. For more information, visit citylab.com. Twenty European cities are being offered free expert advice and support in their journey towards becoming smarter, more responsive cities through the new GrowSmarter City Interest Group, which was launched on 26 November 2015 at the Urban Futures Conference in Berlin (Germany). The Group is open to city administrations in Europe with a genuine interest in learning from the experiences of GrowSmarter’s lighthouse and follower cities. Benefits of joining include exclusive invitations to study visits in Stockholm (Sweden), Cologne (Germany) and Barcelona (Spain), and access to thematic capacity building webinars. Support for replication activities will be provided through a dedicated Helpdesk, with direct access to the staff and businesses involved in implementing the 12 GrowSmarter solutions. Membership is free of charge and applications will be accepted on a first come, first served basis. 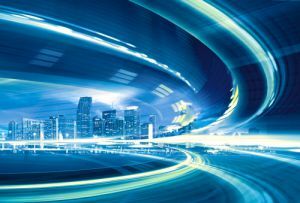 Members are expected to attend at least one annual GrowSmarter capacity exchange and can choose to develop their own smart city replication assessment. The first three Interest Group members to develop a complete smart city replication assessment will be offered one on-site capacity building workshop to help develop a full smart city replication plan. Those interested in joining the Growsmarter City Interest Group are invited to send a completed application form to carsten.rothballer@iclei.org, stating their main areas of interest. For more information, visit the GrowSmarter website. The seven regional SPP networks will publish a total of 42 eco-innovative tenders focused on energy use in public buildings, vehicles and transport, and food and catering services. The goal is to achieve 54.3 GWh/year of primary energy savings and trigger 45 GWh/year of renewable energy. The SPP Regions website provides updated information about the different networks, as well as access to all the tools developed within this project. SPP Regions is funded by the European Union’s Horizon 2020 research and innovation programme. For more information, visit the SPP Regions website. 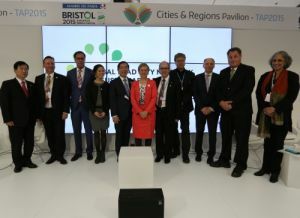 Participants in the Global Lead City Network on Sustainable Procurement (GLCN on SP) joined together on Saturday 5 December at COP21 to celebrate the first annual Summit, held in the Cities & Regions Pavilion. Auckland (New Zealand), Cape Town (South Africa), Denver (USA), Ghent (Belgium), Helsinki (Finland), Oslo (Norway), Quezon City (Philippines), Rotterdam (The Netherlands), Seoul (South Korea) and Warsaw (Poland) are all participants in the network, which is a joint initiative of the Seoul Metropolitan Government and ICLEI – Local Governments for Sustainability. Park Won Soon, Mayor of Seoul Metropolitan Government, was elected chair of the GLCN on SP during the session. “Today is the starting point for more cities to make similar pledges. 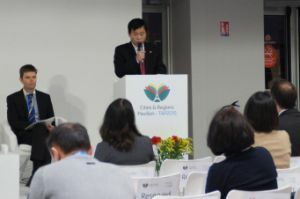 Let us strive to establish and spread green consumption and production systems around the world,” Mayor Park said. On the occasion of their first Summit, the 10 cities presented their sustainable procurement activities and achievements, and shared their knowledge and experience. Through leading by example, participants of the network aim to accelerate the implementation of sustainable purchasing worldwide. “UNEP is delighted to have the GLCN on SP working on sustainable procurement. We are excited to see the lead action we are all looking for,” said Ligia Noronha, Director, Division of Technology Industry and Economics, UNEP. Before the end of 2016, all 10 cities will share their commitments within the GLCN on SP, to continue championing sustainable public procurement and public procurement of innovation to make their societies resource efficient, low carbon and socially responsible. Following a prior information notice (PIN) published in October 2015, Environment Park (Envipark), a partner in the EU-funded INNOCAT project, is inviting suppliers and catering service providers to take part in a market consultation on eco-innovative office catering by filling out an online questionnaire. Around 100 Envipark employees eat in the staff canteen and the organisation is interested in using eco-innovative processes to reduce the associated costs and impacts. 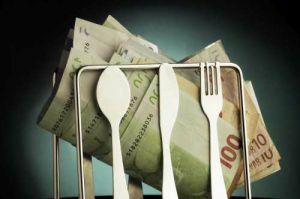 Following an audit carried out with lead buyer Arpa Piemonte in early 2015, Envipark identified two focus areas for its upcoming tender on eco-innovative office catering services: reducing power consumption and improving the management of biodegradable waste (including reducing packaging). Based on the audit, Arpa is now launching a market consultation process to ensure the interest and capacity of catering service providers to meet its requirements. To provide a clear overview of the eco-innovative aspects required in the future tender, a Market Sounding Prospectus has been published and is available in English and Italian. The next stage of the process is a market consultation. Both catering service providers and manufacturers are invited to take part in a market consultation survey (in Italian) by 15 December 2015 to share details of their solutions and confirm their interest in being involved in further market engagement activities related to this process. For more information and to view the survey, visit the Office Catering page. Fred Bass, managing director of Neonlite International, takes a different view. 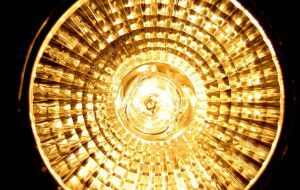 “This ruling brings us one step closer to the eventual removal of all high-energy consuming halogens and can only be a positive move for both consumers and the environment alike,” said Mr. Bass, speaking to Lux magazine. Before implementing the sales ban, the European Commission considered whether the European market could provide an affordable and efficient alternative. As the market was deemed ready, the ban was upheld.